They say only a surfer knows the feeling. Well, Bali provides ample opportunities to chase that high. Offering out of this world surfing conditions throughout the year, it’s no wonder pros and beginner surfers alike flock to the volcanic island from all corners of the earth. Not only is the ”Bali Pipeline” a draw card to Bali, but the island itself is a landmine of rich culture, exploration and adventure. If nothing else, you can always enjoy good beer and spectacular sunsets on Bali’s magnificent beaches. 200 Metres of white sand and seaweed-covered rocks make up this surfers’ paradise. Although just up the drag from the madding crowds of Kuta, surfers should not be fooled by Balangan’s tranquil beauty as the sharp coral reef just in front of the beach calls for booties. Intermediate surfers will enjoy 6-foot left-handers while non-surfers can relax and enjoy this idyllic location. Unrivalled for its stunning views over the Indian Ocean, Bingin beach is probably one of the most in demand for its great surf. Although in close proximity to its sister beach Uluwatu, the barrels are not only slightly smaller but also shorter making it difficult to catch the waves at times. Remember to check in on the tides as this will have an influence on your next surf. Canggu, the nomads’ paradise. As a destination, Canggu has a little something for everyone, and the surf is no different. 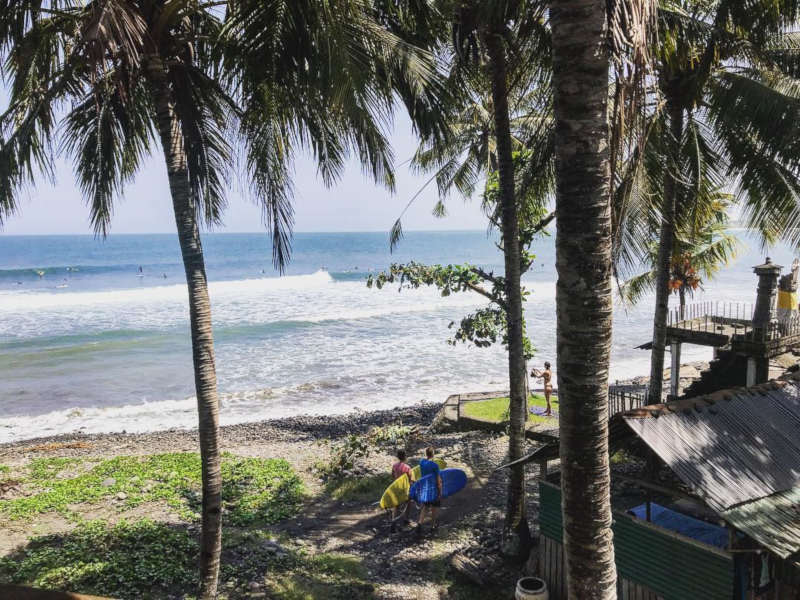 Beginners and pros alike will fall in love with Canggu and the various surf spots it holds. Take your pick between three breaks, Echo Beach, Batu Bolong and Berawa beach and surf to your heart’s content. The nickname might give you a clue as to the type of waves you can expect. Perhaps a slight exaggeration but beginners should avoid Impossibles if they hope for a pleasant day of enjoyable surfing. Intermediate to advanced surfers will have 3 take-off zones to choose from. One from Padang Padang and the other two in the midsection. While the surf might be challenging, your beautiful surroundings will make up for it. If surfing all day isn’t enough, then this beach is just for you. Keramas Beach is now home to Komune Beach Resort which offers night surfing. Considered for some of Bali’s best waves, this black sand beach is not for the faint-hearted. It is a long time favourite and is in fact home to a few pro surfing events sponsored by the likes of Billabong and Oakley. If you are confident with 5ft waves and hollow right-handers, you’ll feel right at home. What was once a thorny forest on Bali’s west coast, is now a popular yet secluded surfing destination. With a distance of almost two hours from Denpasar, you’ll need to get up at the crack of dawn to miss the traffic. 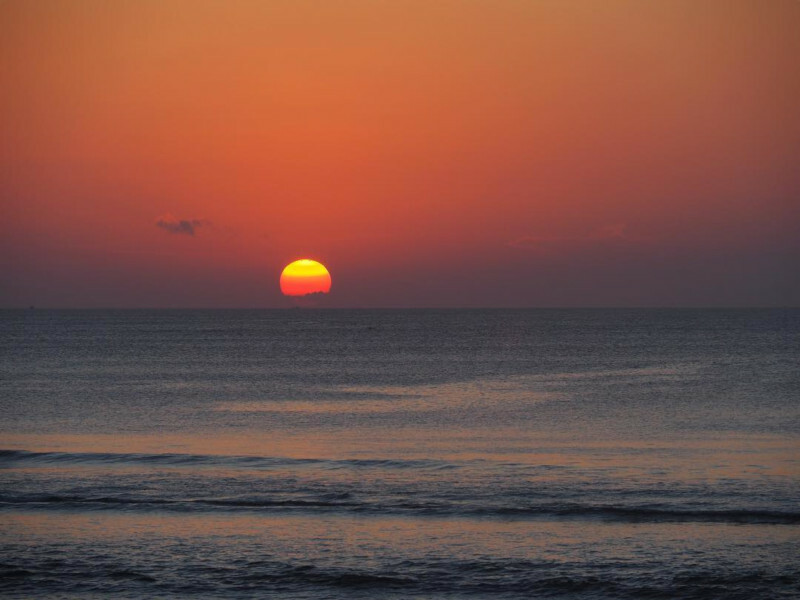 Your efforts will be rewarded as the surf is at its best in the early hours of the morning. Due to the lack of general entertainment, the beach is quiet and most visitors would rather do day trips to Medewi so there will be little competition for waves. If the sound of 5 to 12ft waves scares you then we would suggest you check the wave quality before heading to Padang Padang beach. While there is a gentle beach break on the right side which can accommodate beginners, due to the location (between Uluwatu and Bingin), the beaches are generally quite packed leaving very little space for beginners to spread their wings. Don’t let this sway you, Padang Padang is always a great day out and perfect for lazy days on the beach under a parasol. It can be a challenge to decide which surrounding islands to visit when travelling to Bali. 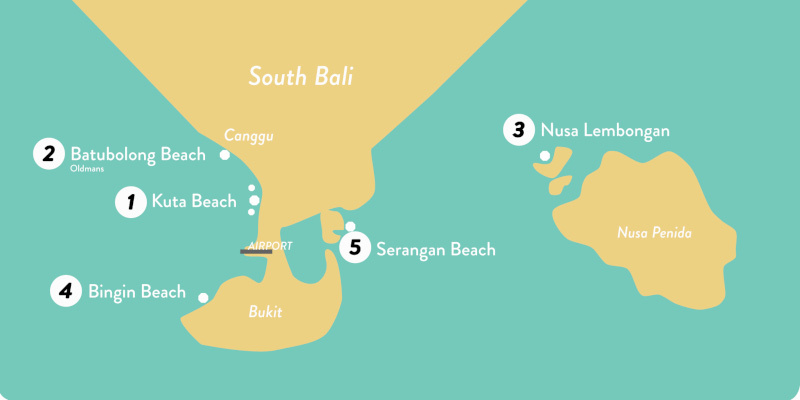 Not all of them are surf friendly which should put Nusa Lembongan right at the top of your list. 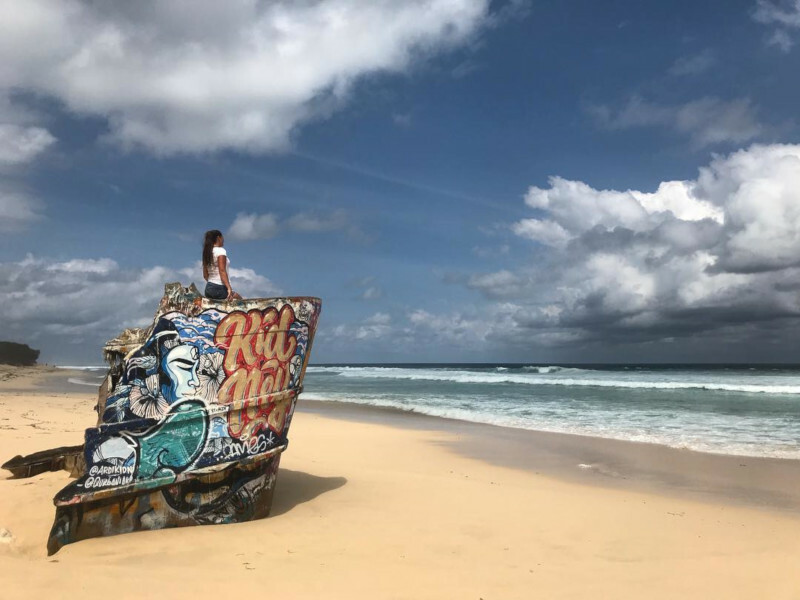 A 25-minute boat ride will get you to the island just southeast of Bali mainland and in no time at all you can be surfing some of Bali’s favourites breaks, one of which is named “Shipwrecks” after a ship which got destroyed on its reefs. Only the strong and experienced will really be able to take advantage of the endless barrels. A popular beach nonetheless teeming with surfers of all calibres. Suluban in Balinese means to ‘crouch over’ which you will quickly come to understand once you make your way there. A treacherous staircase down to the narrow beach followed by a rocky opening as you bend your way through a cave will eventually reward you with the paradise that is Suluban. Being only five minutes from Uluwatu and Padang Padang means that the swells resemble that of the neighbouring beaches. 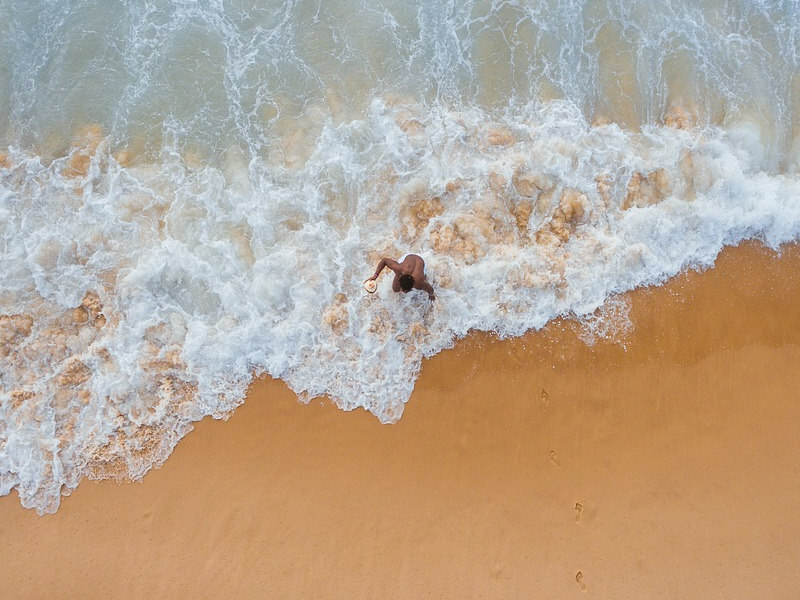 Beginners, you should probably avoid this one, but this shouldn’t sway you from sunbathing on the pristine white beaches and soaking up the beautiful ocean views. It’s not nicknamed ‘Blue Point’ for no reason. Calling all daredevils, and thrill seekers. If it’s adrenaline pumping waves you’re after then head straight to Uluwatu! During monsoon season, swells are known to reach as high as 15feet. A Bali classic with a location that can be matched by very few beaches around the world. When last did you catch a wave and look up to an ancient Hindu shrine atop a 70meter cliff face? You’ll want to consult your tide chart for Uluwatu as the strong current can change at the drop of a hat. 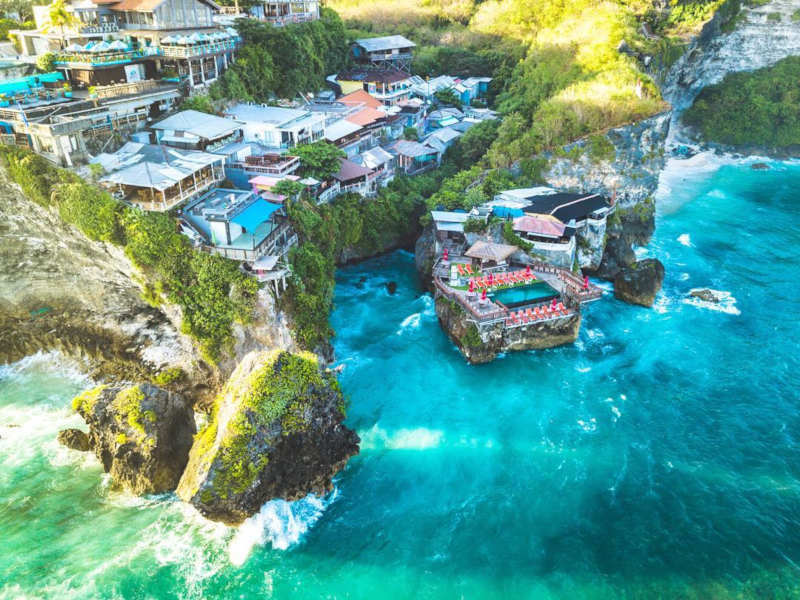 It’s not only about the surf at Uluwatu – don’t arrive with an empty wallet as the Uluwatu cliff is riddled with warungs and cafés, and of course who could forget Single Fin, one of the most popular sunset bars in Bali?! 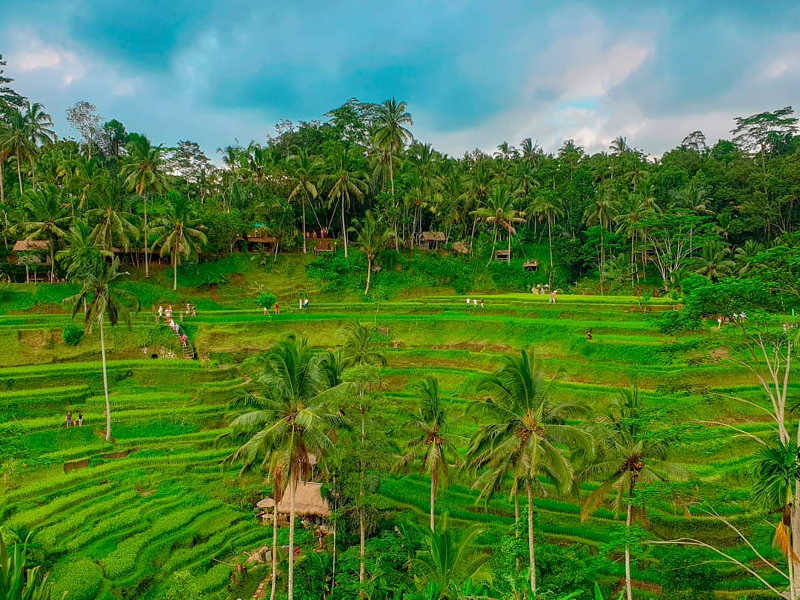 While Bali is balmy all year round, it is influenced by two seasons. 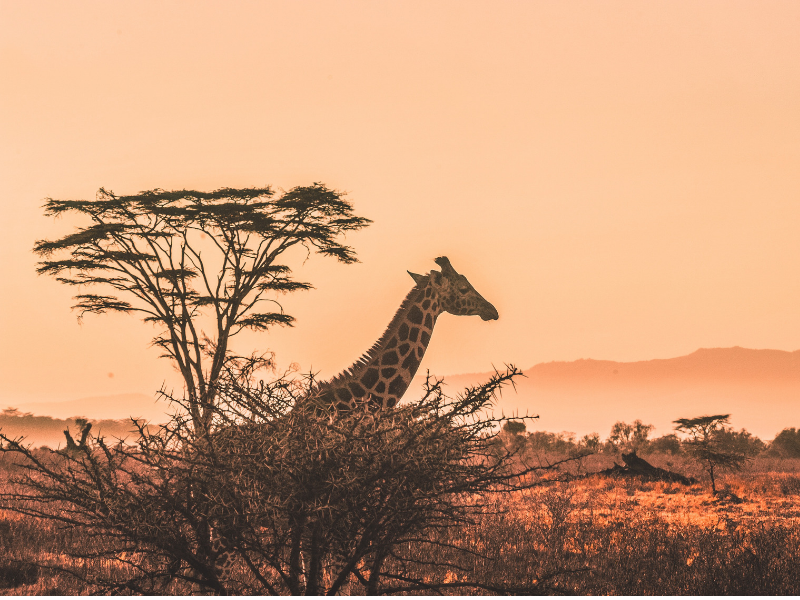 The dry season (aka winter) and the rainy season (summer). With these seasons come different surfing conditions. Fortunately, with water temperatures of between 27°C and 29°C throughout the year, surfing is always on the cards. 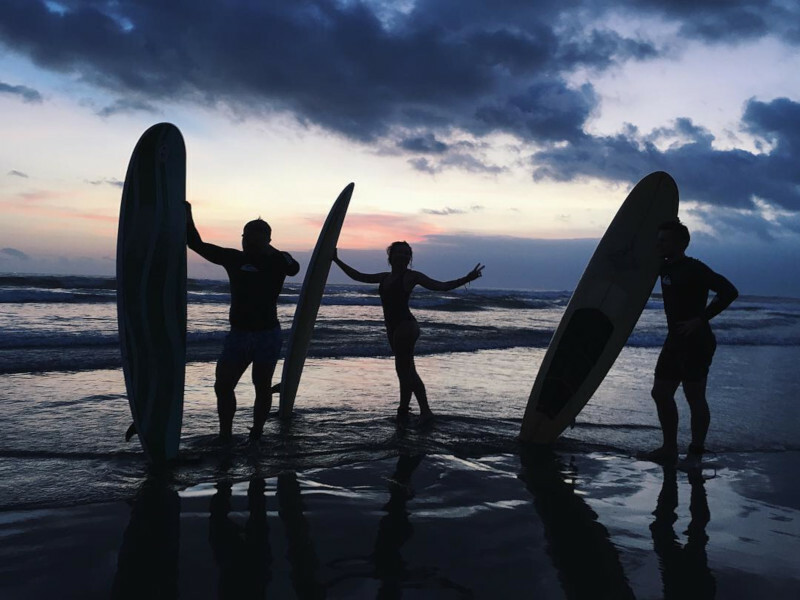 Reportedly, the best time to visit Bali or to surf in Bali is over the dry season, between May and September, when the waves on the west coast put on a performance like no other drawing surfers and tourists the world over. Needless to say, the beaches quickly become overcrowded during the dry season. Crowds are not for everyone. Fortunately, the wet season, between November and March, provides decent surfing conditions on the east coast and keeps the crowds at bay. Below is a quality surf report clearly depicting the type of surfing you can expect on average when visiting any one of our top 10 Bali surfing spots, with 1 being the lowest quality and 10 being the highest. Please note these are just average scores. As you have read previously, the quality of the waves can really push the scale on epic proportions. As we know the dry season is the best time for Bali surfing. It’s just great vibes and blue skies all day every day. However, if you’re a beginner surfer and you don’t mind surfing in the rain then, we recommend travelling to Bali between November and March. The waves will be far more palatable and the crowds at a low. You want to feel safe and comfortable in the ocean, not intimidated by waves and crowds. Beginner surfers should avoid Uluwatu, Impossibles and Padang Padang also known as the “Bali pipeline”. These beaches attract pros from all over the world and can be a little intimidating if you’re just starting out. This post is by no means limited to experienced surfers only. If you’ve never surfed before, then what better place to learn than in a relaxed environment with other like-minded holidaymakers. Surf camps in Bali are at large. No matter where you set up camp, your choices will be endless. 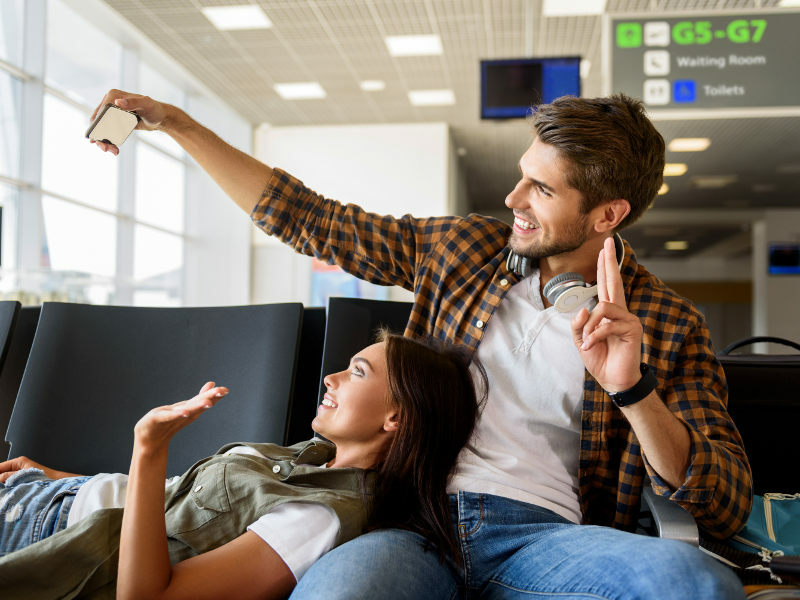 While you’re there why not visit some of Bali’s best diving spots or, or visit some of the most incredible temples on your holiday? Whether you’re a beginner or a daredevil pro, as far as we’re concerned it’s always a good idea to head over to Bali. Sign up for our newsletter today and be the first to know about our cheap flights to Bali. We’d love to hear all your Bali surf tips. Please share them in the comments below.